Left: The Chilcotin has a conventional dropout and quick release Below: Cane Creek Double Barrel shock option you're running a chain device or even a HammerSchmidt or 1 x 10 drivetrain, the front derailleur cable stop is a bolt-on design, which can be removed to save weight. The latest Shimano XTR promotional video has just landed in the mbr inbox, with Mark Weir and Andrew Shandro riding in the Chilcotin mountains in British Columbia. It's obvious why Knolly has named this bike after the place; it's all ripping big mountain riding. Knolly currently has an all-mountain bike in its range called the Endorphin but it looks like this is being shuffled down the pecking order. The Chilcotin is the new all-mountain daddy with updated geometry and more travel. WV^Vi, is manipulated very slightly. 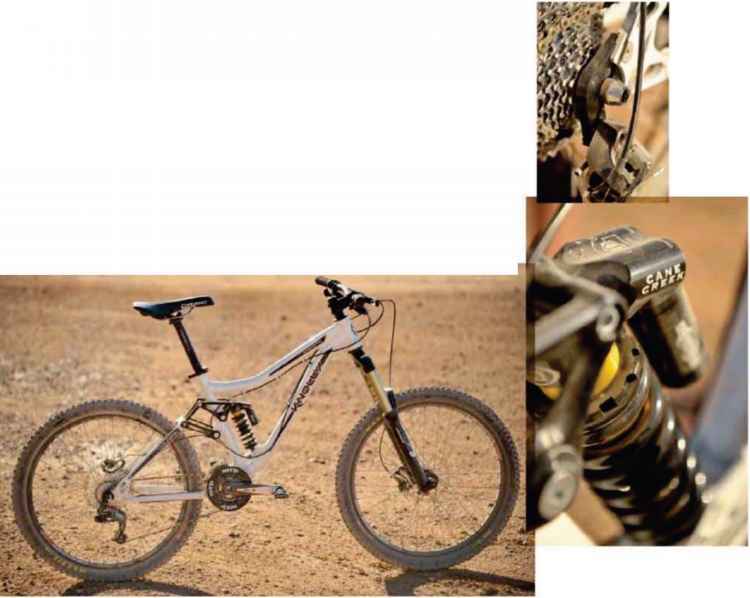 Knolly engineered the forward location to have a slightly more linear rate so that the bike is kept a tiny bit higher in the travel when climbing. The slacker position is a bit more progressive to give the frame a more descending bias. Despite the cutting edge build Knolly hasn't embraced a rear through-axle and is content to stick with a conventional 135mm dropout and a quick release. Weight for the frame is on a par with similar bikes like the Transition Covert and Turner RFX at around 7.5lb. 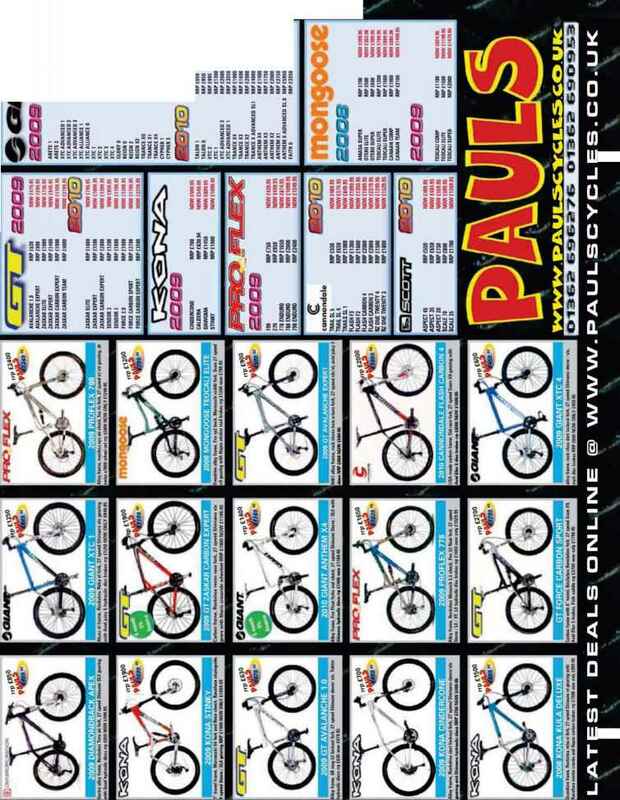 There are a range of frame sizes and shock options, including a Cane Creek Double Barrel for an extra £350. Even though Knolly's Four by 4 Linkage is a proper four-bar system, Knolly says it isn't iicensed, nor something that has been reworked for its bikes. 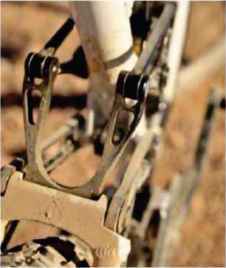 The extra link allows Knolly to tune the axle path and chain growth independently from the suspension rate and create a bike that pedals very well but still has active suspension. Since it's an all-mountain bike, Knolly has configured the suspension on the Chilcotin to have a supple initial stroke, consistent mid-range followed by a progressive bottom-out. The dual linkage also isolates the shock from any loading, allows it to be mounted in the front triangle for easier access and out of the way of splatter, and lets Knolly run a full-length seat tube. You can see the seat tube in our pictures but it doesn't actually connect to the bottom bracket; rather slightly forward of it. This creates a smaller and stiffer front triangle and is the reason for the slack seat tube measurement. The seat angle is actually around 73°. The front derailleur is mounted on a stub behind the bottom bracket and the clearance between the seat tube and the rear wheel is massive. 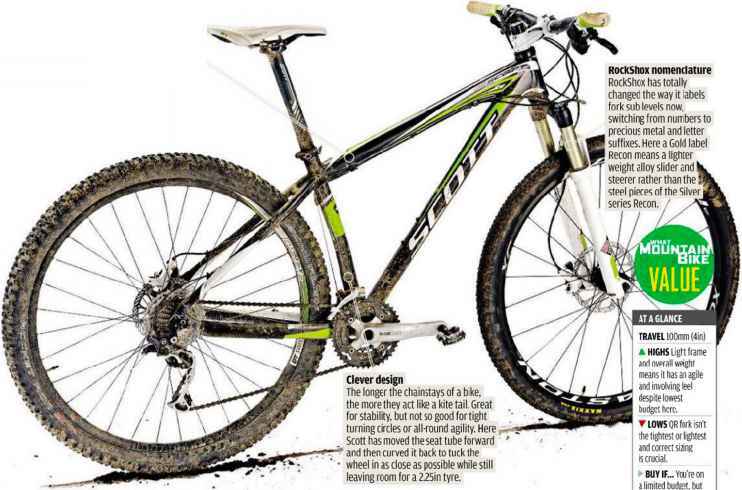 Knolly says this bike can accommodate 2.7in tyres. The links are bolted to the 'seat tube multipivot block', which is a separate part that slides onto the seat tube before being welded in place. It's a custom extrusion (as is the seat tube) and it's CNC machined to its final shape. This ensures that all of the pivot bosses are precisely located relative to each other, which allows the linkages to move freely and have high rigidity. INA and Igus Angular Contact bearings are featured at all the pivot interfaces. Rear travel is fixed at 150mm but the bike will accommodate a 150 or 160mm fork.